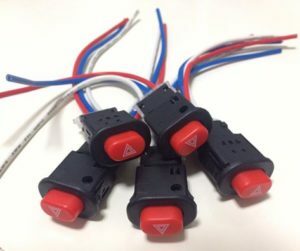 Hazard light switches have arrived! Yeah! My hazard light switch has arrived! Probably a project for this weekend. Accidentally bought 5pcs of this instead of 1pc. Hahaha! Well, we’ll see what happens this weekend.